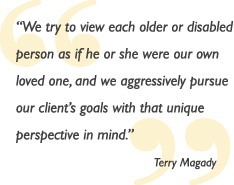 It’s no wonder other attorneys refer their toughest cases to Terry Magady, one of the preeminent elder law experts in the nation. 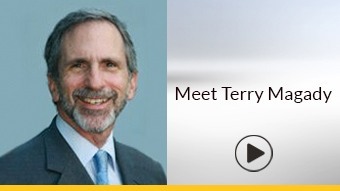 The guru of elder law, Terry is committed to solving the myriad challenges that come with caring for aging or disabled loved ones. He brings a passion and determination to cases deemed impossible by other attorneys, making the extra effort to find innovative resolutions to complex situations. Testimonials or endorsements do not constitute a guarantee, warranty or prediction regarding the outcome of your legal matter.